Sales of new single-family houses in the United States jumped 17.5 percent to a seasonally adjusted annual rate of 733 thousand in November of 2017 from a downwardly revised 624 thousand in October and beating market forecasts of 654 thousand. It was the strongest number since July of 2007. Sales rose in all four regions. New Home Sales in the United States averaged 650.82 Thousand from 1963 until 2017, reaching an all time high of 1389 Thousand in July of 2005 and a record low of 270 Thousand in February of 2011. The median sales price of new houses sold was $318,700, above $315,000 a year earlier. The average sales price was $377,100, also higher than $363,400 in November of 2016. The stock of new houses for sale was flat at 283 thousand. 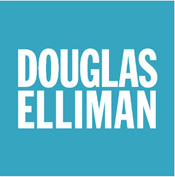 This represents a supply of 4.6 months at the current sales rate. Year-on-year, new home sales increased 26.6 percent. This entry was posted in blog, South Salem and tagged South Salem, South Salem Real Estate for Sale on January 4, 2018 by Robert Paul. He said that, even though members of the Trump administration have repeatedly said they will “protect” the popular tax break. There are a lot of reasons people buy homes — financial, practical and emotional. For the vast majority of those who make that choice, it is by far their single largest investment. Until the financial crisis, the common belief was the home prices always rise, and a home was therefore a proven way to build wealth, but that was proven wrong. More than 6.5 million homeowners lost their homes to foreclosure in the past 10 years, according to Attom Data Solutions, and 2.8 million current homeowners still owe more on their mortgages than their properties are worth. This after home prices plummeted nationally for the first time since the Great Depression. Most consumers, at least according to several recent surveys, still believe that a home is a good investment. The majority of renters still aspire to homeownership, despite the fact that millennials have been deemed the “renter generation.” That designation is likely more due to high student loan debt and lower initial employment for this generation than anything else. Millennials have also been slower to marry and have children, which are the primary drivers of homeownership. For a great many homeowners, the deduction isn’t even a financial factor. A taxpayer can only take the deduction if he or she itemizes, and just one-third of taxpayers itemize, but about 64 percent of Americans own a home (and just over one-third of homeowners have no mortgage). Three-quarters of those who do itemize take the deduction, but if the standard deduction were raised, fewer taxpayers would itemize, and therefore the mortgage deduction would be used even less. Green notes that the deduction is most important to those living in states like California, which has both high tax rates and high home prices. Home prices there, he said, could drop without the deduction. As for overall homeownership, he points to other nations like Canada and Australia, which have no mortgage deduction but have very high homeownership rates. The National Association of Realtors, one of the most powerful lobbying organizations in Washington, vehemently opposes any change to the deduction. Even though there has been no change so far, they came out against the current plan, claiming that because it would result in fewer taxpayers itemizing, it would weaken the power of the deduction. Tax breaks do work. Witness the first-time homebuyer tax credit, designed to spur homebuying during the housing crash. It did cause a temporary but sizeable jump in home sales. The mortgage interest deduction, however, gives bigger benefits to those in higher tax brackets with larger loans. In other words, it benefits more wealthy owners, and is therefore less likely to the driving factor for homeownership. Could home values really fall under the new tax plan? That depends less on taxes and more on the fundamental reason why home prices are currently overheating, which is a historically low supply of homes for sale. It is unlikely that the very strong supply and demand imbalance right now would be hit hard by any changes to the mortgage deduction, especially given that the largest generation is entering its homebuying years. “We’ve got big supply issues right now. The reason housing purchases are down is because supply is down,” said Dan Gilbert, CEO of Quicken Loans in an interview on CNBC’s “Squawk Box.” Gilbert was more concerned with interest rates than the deduction and the net amount consumers will pay in taxes in the end. The fact is, today’s housing market needs more houses far more than it needs lower taxes. In that respect, the mortgage interest deduction is far less important than tax savings for small-business owners, like homebuilders, who could increase production if costs were lower. The vast majority of homebuilders are small-business owners. While the realtors claim that without the savings from the mortgage deduction, some buyers couldn’t afford a home, others claim home prices are higher because the savings from the deduction gives consumers more buying power. This entry was posted in blog, South Salem and tagged South Salem Homes, South Salem Real Estate for Sale on October 9, 2017 by Robert Paul. Find your way to The Market on Spring for fresh foodie fare in a quaint setting. Most Northern Westchesterites who drive Route 35 are on a mission — to get from one town to another in a hurry, to make a train, or to pick up their kids. But, there’s a charming spot just minutes off this busy thoroughfare that’s certainly worth the detour. Maybe word is getting out about the delicious sandwiches made from New York State grass-fed beef, or cage- and hormone-free turkey (all roasted in-house by Market’s chefs), with condiments such as chipotle remoulade, onion jam, and honey mustard aioli. The organic egg breakfast sandwiches (options include house-cured salmon and homemade chorizo) are also gaining a dedicated following. O’Brien says the shop’s country industrial decor and elevated deli menu are especially appealing to city folk who weekend at homes on nearby Lake Truesdale. Well, we suburbanites know a good thing when we see it, too! This entry was posted in Lewisboro, South Salem and tagged South Salem Homes, South Salem Luxury Real Estate, South Salem Real Estate for Sale on June 10, 2017 by Robert Paul. You can’t blame a homeowner in Fresno, California, for viewing the thriving metropolis to its northwest with both envy and dismay. While San Francisco home values have surged since the recession, Fresno’s housing market is stuck in a rut. Less than 3 percent of homes in the city and its environs have returned to their pre-recession peak, according to a new study from Trulia. 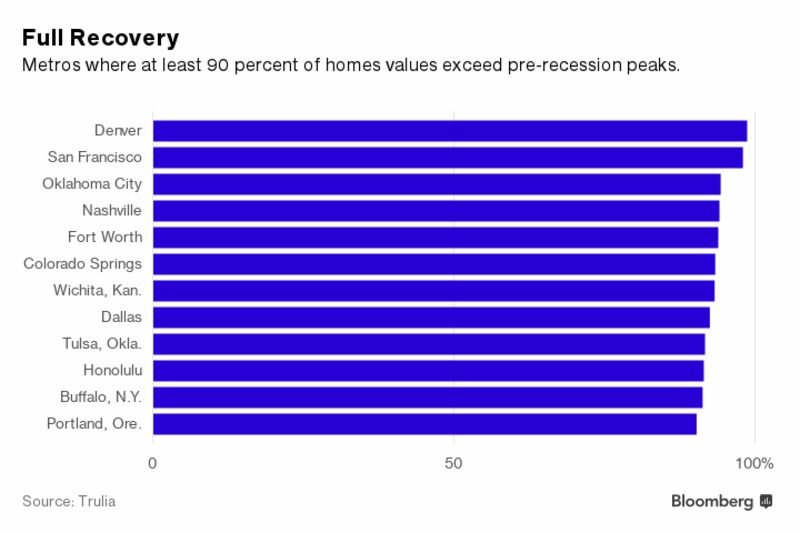 Median home values are a teeth-clenching $78,000 below their pre-recession peak. The difference between the two California markets helps explain a key dynamic of U.S. housing a decade after the foreclosure crisis. Popular measures of the landscape, like S&P CoreLogic Case-Shiller Index and the FHFA House Price Index, show the market has recovered to levels last seen before the housing market went bust. But according to Trulia, this isn’t the whole, significantly bleaker picture. Nationally, just 1 in 3 homes are worth more now than they were at their peak. While tech hubs in the Bay Area and Denver and job centers like Dallas or Nashville have seen home values explode past earlier highs, there are more losers than winners when you look across the country, Trulia’s analysis shows. And it’s really bad news if you live in Las Vegas, Tucson—or Fresno. Many of the losers aren’t just losing—they’re getting trounced. There were 28 metros where fewer than 10 percent of homes have recovered their value since the bubble burst. Las Vegas has seen less than 1 percent of its homes returning to or surpassing what they were worth before the recession. The median sales price there is down a full $91,000 from its peak. “It’s a reflection of just how well a metro area has recovered, broadly speaking,” said Ralph McLaughlin, chief economist at Trulia, adding that his findings largely correlate with other measures of metro-level growth, such as gains in income and total population. As a result, it’s tempting to view these results through the prism of the 2016 election. 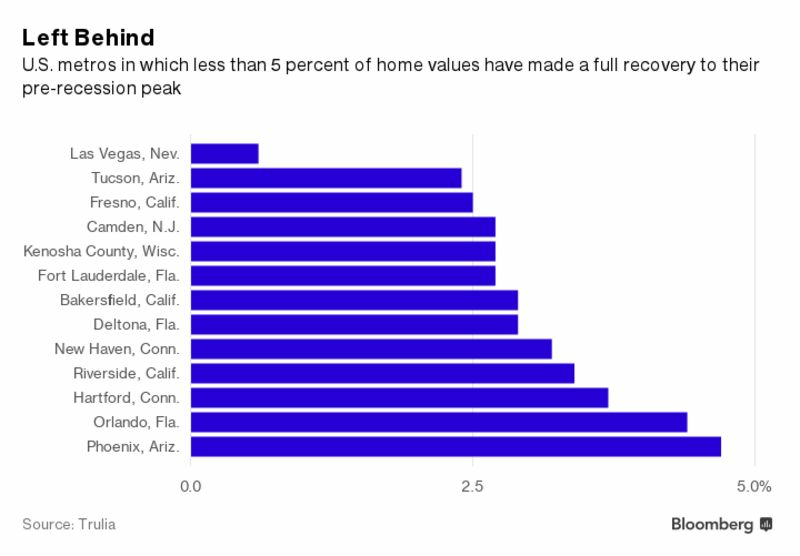 Many of the metropolitan areas where home values lag the most are Rust Belt towns with little prospect for an immediate comeback, or Sunbelt cities whose peak home values were a product of the bubble that preceded the collapse. McLaughlin says a zip code-level analysis offers a more nuanced view of the haves and have-nots. In much of the middle of the country, cities have stagnated while less populated regions lead the recovery. While it’s true coastal markets have experienced the lion’s share of appreciation, the majority of homes in pricey markets like New York, Los Angeles, Silver Spring, Maryland, and Fairfield County, Connecticut, are still worth less than a decade ago. To be sure, Trulia’s research is based on its own estimates of home values, while the big indices are based on actual sales. Other research suggests a hot economy gives rural workers more choice, causing an outflow of potential employees to better jobs, often in the cities or on the coasts, potentially speeding a decline in home value elsewhere. This entry was posted in South Salem, Westchester NY and tagged South Salem Homes for Sale, South Salem NY Homes, South Salem Real Estate for Sale on May 4, 2017 by Robert Paul. According to NAHB estimates, the total count of the second home stock reached 7.5 million in 2014, an increase of 0.6 million over 2009 when NAHB Economics last produced these estimates. The share of second homes among the total housing stock also increased from 5.4% to 5.6%. It is worthwhile to understand the patterns of second homes because they could have a significant economic impact on local housing markets and thus have important policy implications. This analysis focuses on the number and the location of second homes qualified for the home mortgage interest deduction using the Census Bureau’s 2014 American Community Survey (ACS). The county with the largest share of second homes is Hamilton County, NY with 79.3%, followed by Forest County (74%), PA, and Rich County (72.7%), UT. As one might expect, the top 10 counties with the largest share of second homes are mostly tourist destinations. In-depth analysis, however, shows that the concentration of second homes is not simply restricted to conventional locations like beachfront areas. There were 913 counties spread over 49 states, where second homes accounted for at least 10% of the local housing stock. Only Connecticut and Washington D.C. were exceptions. 357 counties, 11% of all counties in the U.S., had at least 20% of housing units that were second homes. 27 counties in 14 states had over half of housing units qualified as second homes. Of these counties, five counties are in Michigan, four in Colorado and Wisconsin, two in California, Massachusetts, Pennsylvania, Utah, and one county each in Idaho, Missouri, North Carolina, New Jersey, New Mexico, and New York. These national patterns are mapped below. Of course, the geographic locations of second homes also correspond to population density. Counties with more than 25,000 second homes are mostly located in or near metropolitan areas. The table below lists the top 10 counties with the most second homes. States with at least one such county are Arizona, Florida, California, Massachusetts, Illinois, New York, New Jersey, Nevada, South Carolina, Delaware, Texas, Michigan, and Maryland. This entry was posted in South Salem and tagged South Salem Homes for Sale, South Salem NY Homes, South Salem Real Estate for Sale on January 20, 2017 by Robert Paul.